Wasabi may be better known as the green spicy stuff that comes with sushi, but it can be used in so many more ways. 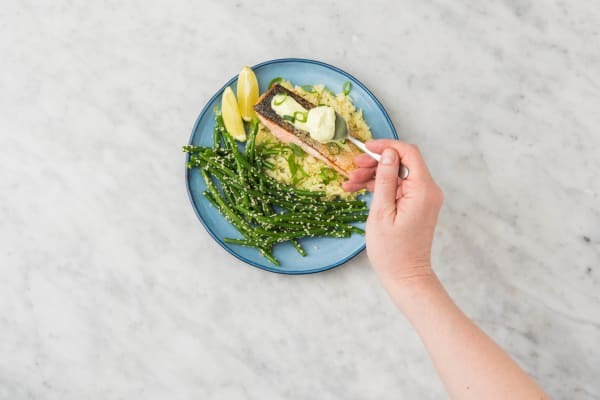 In this recipe, the horseradish paste is blended into a mixture of lime and sour cream, creating a sauce for salmon that’s equal parts tangy, zesty, and exhilarating. The fish is served with sesame green beans and scallion rice on the side, resulting in a meal that combines Asian-style flavors with classic and simple techniques. Bring 1 cup water and stock concentrate to a boil in a small pot. Once boiling, add rice. Cover, lower heat, and reduce to a gentle simmer. Cook until tender, about 15 minutes. Keep covered off heat until meal is ready. Wash and dry all produce except green beans. Trim, then thinly slice scallions, keeping greens and whites separate. Zest lime, then cut into wedges. 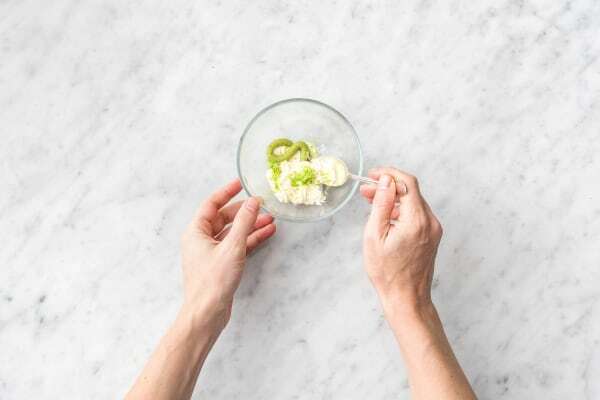 In a small bowl, stir together sour cream, ½ tsp lime zest, a squeeze of lime juice, and wasabi paste (to taste— start with a pinch and add more from there). Season with salt and pepper. TIP: Give the crema a taste and adjust with more lime zest, lime juice, or wasabi paste as needed. Heat a large drizzle of oil in a large pan over medium-high heat. Pat salmon dry with a paper towel and season all over with salt and pepper. 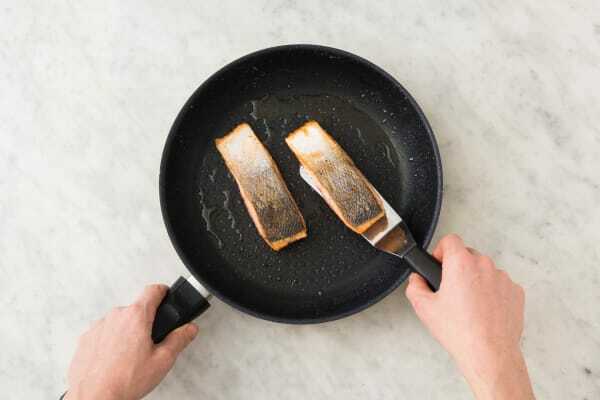 Add to pan skin-side down. Cook until skin is crisp and flesh is almost cooked, 5-7 minutes. Flip and cook on other side to desired doneness, 1-2 minutes more. Remove from pan and set aside. Pierce green bean bag with a fork and place on a microwave-safe plate. Microwave on high for 3-4 minutes (or until beans are tender). Carefully remove beans from bag and transfer to a large bowl along with a drizzle of oil. Toss to coat beans, then add sesame seeds and toss again. Season with salt and pepper. Fluff rice with a fork, then stir in 1 TBSP butter and scallion whites. Season with salt and pepper. 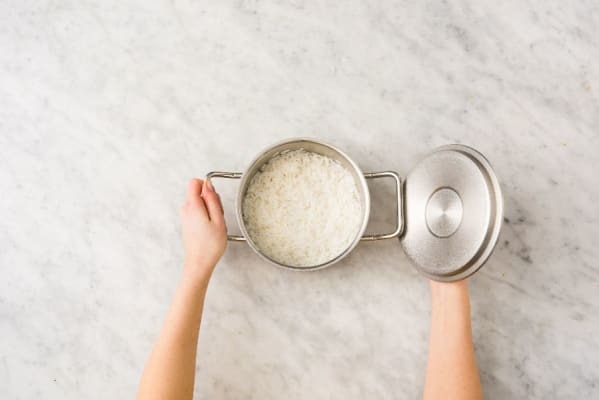 Divide rice and green beans between plates. 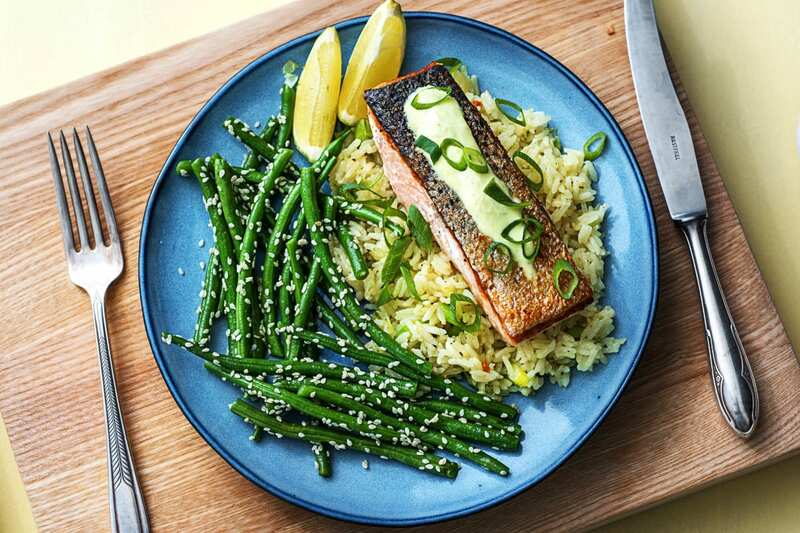 Arrange salmon on top of rice, then dollop with crema. 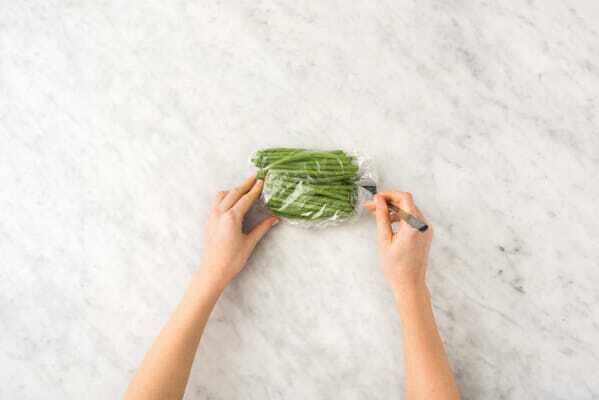 Sprinkle with scallion greens. 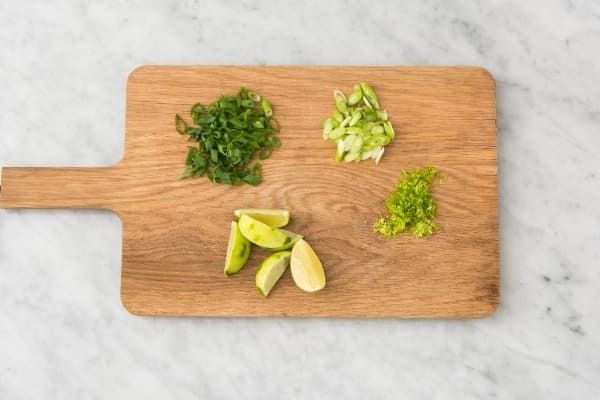 Serve with any remaining lime wedges on the side.